Migrant Voice will be delivering our signature Media Lab sessions as part of the MiFriendly Cities project starting in March 2018 in the West Midlands. Migrant Voice, together with 10 other partners, will roll out a three-year programme of activities in Coventry, Birmingham and Wolverhampton to support integration. MiFriendly Cities aims to help West Midland communities get the maximum benefit from migration and improve migrants’ and refugees’ sense of belonging. Other partner activities include mobile employment information drop-in sessions, regular language classes, the training up of 60 health champions, support for setting up social enterprises, and work to promote rights awareness and undertake legal health checks among migrants and refugees, with a focus on paths to citizenship for children and young people. 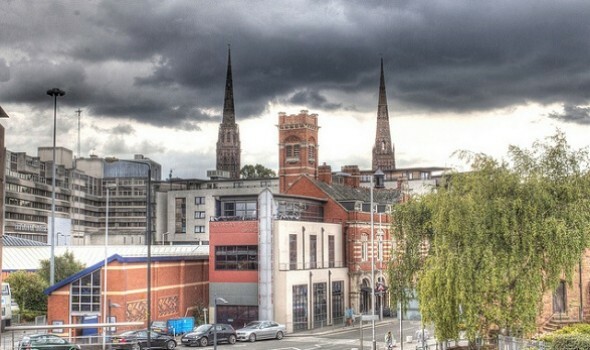 Coventry City Council will lead the consortium of 11 partners on the project, including the three city councils, Coventry University (and its community interest company CU Social Enterprise), Coventry Refugee and Migrant Centre (CRMC), Central England Law Centre (CELC), The Refugee and Migrant Centre Black Country and Birmingham(RMC), MigrationWork, Migrant Voice and Interserve. The project, which is funded by the European Regional Development Fund (ERDF) forms part of the EU’s Urban Innovative Actions (UIA) initiative, an Initiative of the European Union that provides urban areas throughout Europe with resources to test new and unproven solutions to address urban challenges.